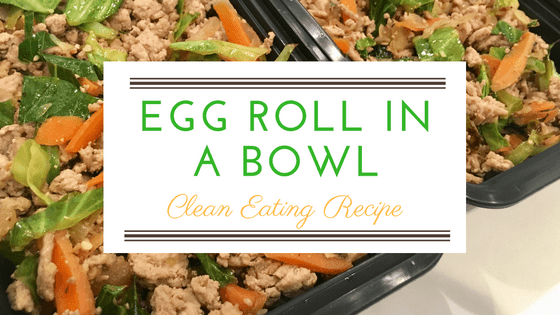 This egg roll in a bowl recipe is a favorite from my 21 Day Clean Eating Meal Plan, so I thought I’d share it on the blog as well! ==> Looking for a clean eating meal plan? Get yours by clicking here! 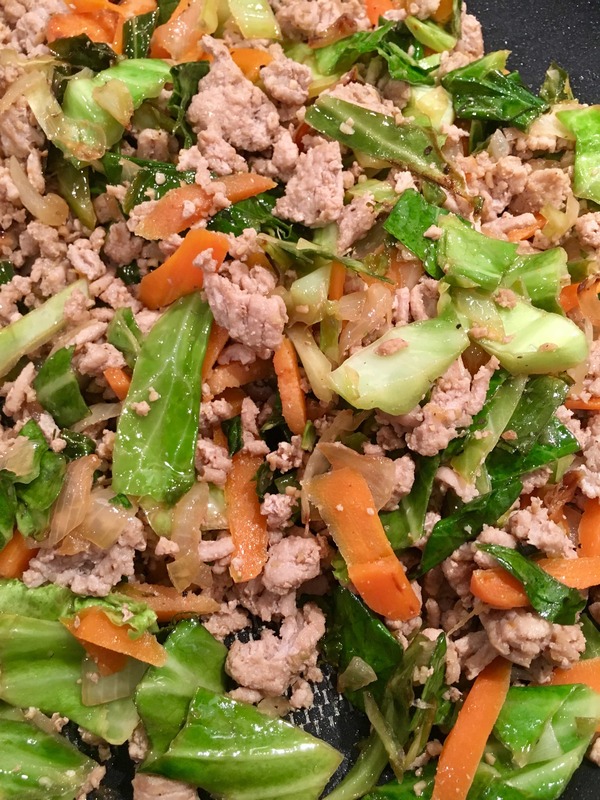 This is basically what would be in the filling of an egg roll, but with clean ingredients. It’s perfect for those days you’re craving Chinese food! It’s also a great meal for meal prep and/or for freezing. 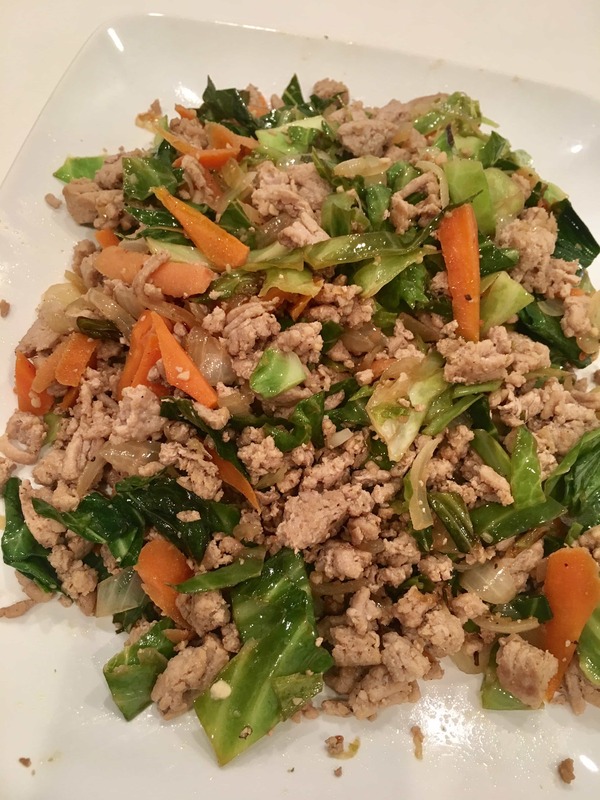 Using Bragg’s Liquid Amino’s instead of soy sauce is key to making this meal a clean/healthy version. Liquid amino’s are a natural soy sauce alternative that literally tastes just like the soy sauce you have at a Chinese restaurant. However, liquid amino’s have 0 calories, 0 grams of fat and is non-GMO. Also, there is no extra salt added, just the naturally occurring salt from the soybean. The other key ingredient is a natural rice vinegar with no sugar or sodium. I have a hard time finding this in stores, but it’s great for any Asian dishes you make- especially sushi! 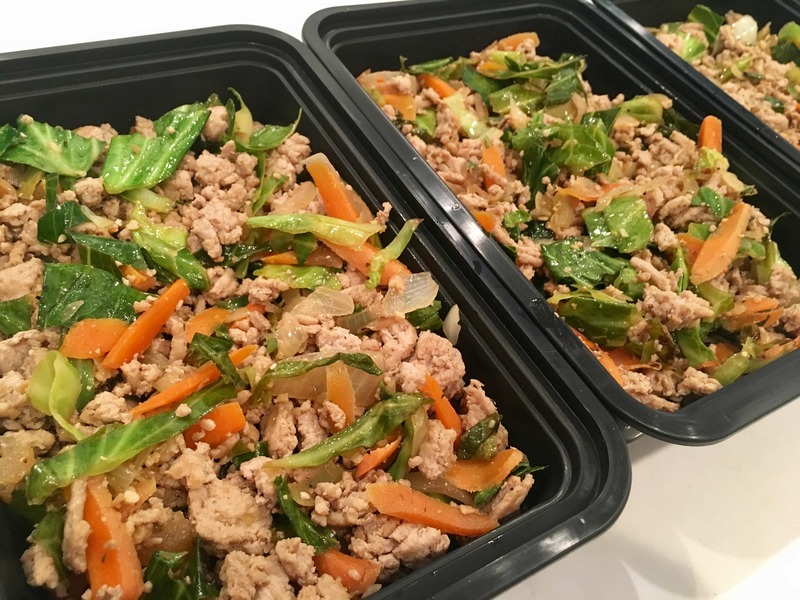 This is absolutely a great meal for meal prepping! I like to use it as meal prep for lunches. 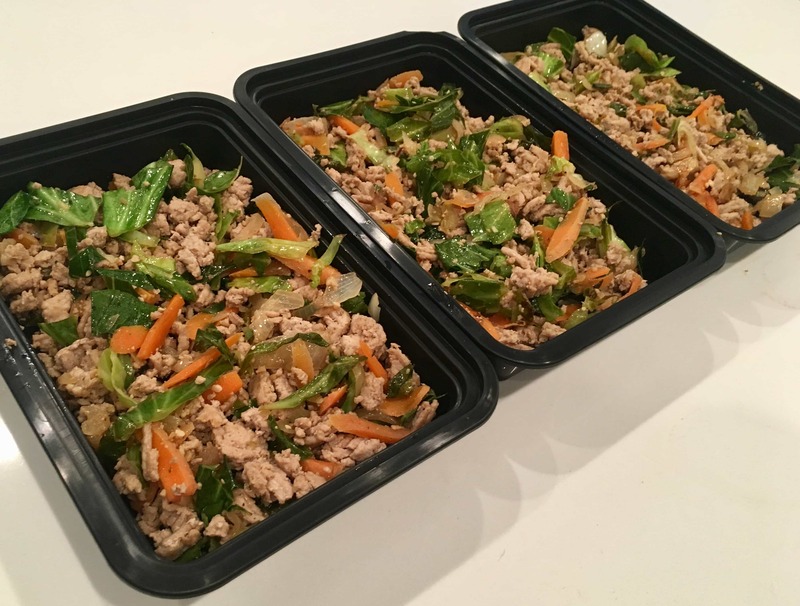 This recipe makes 4 servings, so it gets you 4 lunches for the week. Once it’s done cooking, just divide it in to 4 even portions and pack it in to one of these meal prep containers. You can store it in the fridge up to 4 days. 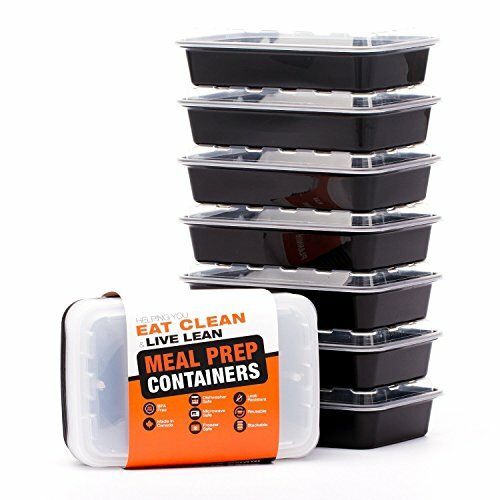 These meal prep containers are awesome for any meal prepping you do. They’re very durable and lightweight, so they’re easy and convenient to carry around. If you prefer your meal prep containers bento style with 3 compartments, you can get those by clicking here.